In March this year, the neighbouring Fiji was devastated by a Category 5 severe tropical cyclone, which came to be called as Cyclone Winston. But as it happens in every calamity, the city-based Fijians led by the Christchurch Fiji Association (Cfcessa) have been mobilising support from the wider community to help the victims back home. Vinesh Prakash, secretary of the Association; Ameer Ali, a Fijian who immigrated to Christchurch in 2008 and owns a retail shop Krazy Price Mart; and Ali's father-in-law Mohamed Haque who is also the secretary of Al-Noor Mosque of Christchurch, has been leading the effort. Ali's Mart also played host to local rugby stars - Nadolo, Ben and Macalai – all players of Fiji-origin representing Christchurch's rugby club Crusaders as part of the fund-raising exercise. Taking clue from their elders, and efforts put in by organisations such as the Christchurch Fiji Association, young Fijians who have made Christchurch their new home, have mobilised support and rations over the last few months to help kids affected by the Cyclone Winston. “Along with 65 boxes of donations, we raised almost NZ$2,000 that was used to buy stationery, which I personally went and distributed in five badly-affected schools in the Tavua and Rakiraki region of Fiji,” said Alvina Lal, a 19-year-old who hails from Suva and helped in mobilising the aid. 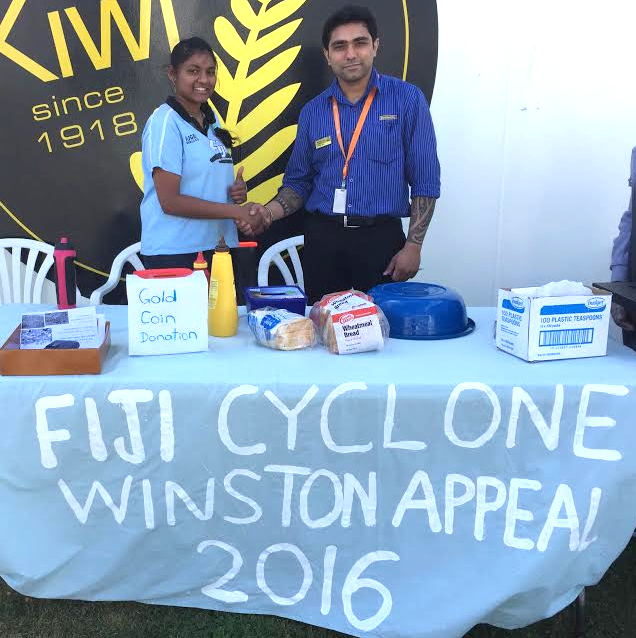 The Christchurch Fiji Association organised various religious events and collected donations towards the cyclone victims; the Fijian-youth led by Alvina Lal, a 19-year-old student, also pitched in and helped in raising supplies, which were then delivered in Fiji.